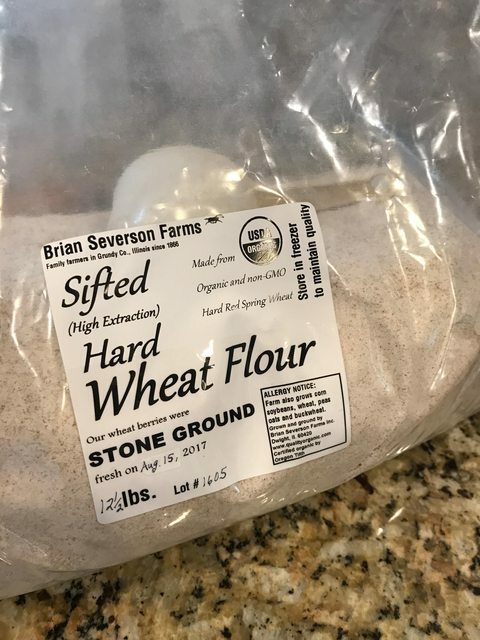 I recently found a local wheat farmer who happens to mill flour as well. He's about an hour away from me so naturally, I wanted to try it. He sells the flour and wheat berries. The flour is Organic and he said that his wheat berries he is selling are on a transition plot and are two years into transition, I believe it takes 3 years. I know there is Hodgson Mill, I'm not a huge fan of theirs. 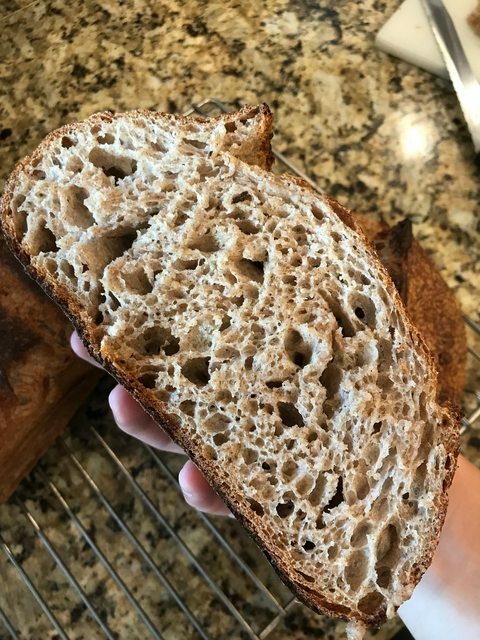 I use their rye for my levain and starter, but the other flours have been pretty disappointing. Anyways I picked up some of his sifted whole wheat. 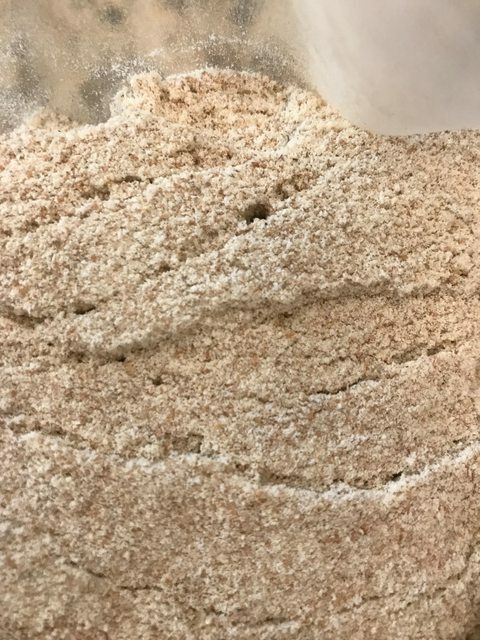 Which really isn't all that sifted as you can see, just large pieces, my guess is 85-90% extraction. I pushed it through a #40 mesh sieve and it not all of it got through, so pretty lightly sifted. To my surprise, the flour didn't take as much water as I thought it would. I normally autolyze at 80% hyrdo, but it became soup, so I added some more flour. 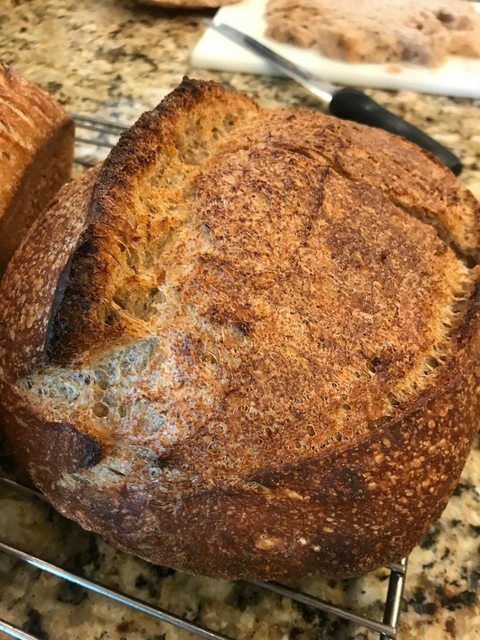 That being said the flavor and performance is fantastic, in the end, cost about the price of supermarket flour, taste way better, and is stone milled and organic.